Each month MCUL & Affiliates CEO David Adams hosts a monthly webcast looking at the issues facing Michigan credit unions, the solutions MCUL offers, and the priorities for the organization moving forward. In this edition of the Priority Report, Dave Adams highlights the latest news from CU Solutions Group and more. In this edition of the Priority Report, Dave Adams highlights MCUL's efforts to fight payday lending in Michigan, the latest news from CU Solutions Group and more. In the latest Priority Report, Dave Adams discusses the CUNA bylaws vote, the Flint water crisis, and much more. Join MCUL & Affiliates' CEO Dave Adams as he walks through the organization's 2016 priorities. In this month’s Priority Report, MCUL President/CEO Dave Adams provides an in-depth synopsis of the changes MCUL is working to make to the Michigan Credit Union Act to ensure it helps credit unions thrive in a competitive marketplace. In this month’s Priority Report MCUL & Affiliates CEO Dave Adams and his executive team talk Strength in Unity, CUSG 3rd quarter financials and an update on the Share the Love campaign. MCUL & Affiliates President/CEO Dave Adams updates members on the reasoning behind the league’s direct membership decision. MCUL & Affiliates President/CEO David Adams discusses MCUL’s top ten priorities, and how a CUNA/League partnership helps strengthen the industry. MCUL & Affiliates President/CEO David Adams wants to challenge Credit Unions to think about how the industry might double down on Michigan’s economy to help improve the quality of life for Michiganders. MCUL & Affiliates President/CEO David Adams offers his view on the CUNA/leagues structure as well as compensation for credit union board directors. MCUL & Affilates CEO David Adams offers a look back on a successful CUNA GAC and talks about the importance of grassroots advocacy opportunities including the upcoming state GAC in this edition of Priority Report. The November 2014 edition of Priority Report looks at Cadillac’s return to Love My Credit Union Rewards, the latest on ComplySight, results from our annual Consumer Awareness Survey and more. We look back on a successful CUNA GAC and look forward to MCUL’s state GAC. We also announce a key new player to the MCUL & Affiliates executive team and look at several priorities for the league and CU Solutions Group. MCUL & Affiliates CEO David Adams recaps the MCUL's progress as of the third quarter of 2013; highlights include Michigan credit union membership stats, auto and mortgage loan data, and a list of state and federal legislative priorities. MCUL CEO David Adams discusses the critical importance of advocating for the credit union tax exempt status. 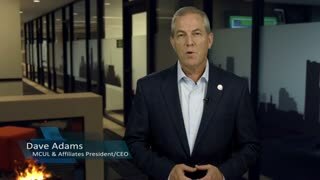 In this video, CEO Dave Adams provides an update to MI credit unions on our upcoming Annual Convention and Exposition, taking place at the Renaissance Center at the Marriott in Detroit, May 16 - 18, 2013. In his November Priority Report, Dave Adams addresses the 2012 General Election results and looks to credit union compliance and expansion in the coming year. In his December report, as 2010 comes to a close, MCUL & Affiliates CEO David Adams reviews the changes and successes experienced by CUs this year, and looks ahead into 2011 at the challenges and opportunities in the new year for the movement. The Michigan Priority Report for September traces the strength of Michigan credit unions through the mid-year 2010 statistics showing continued membership growth, lending and positive results from the consumer study. In the monthly Michigan Priority Report for August, David Adams discusses the evolution of MCUL & Affiliates in the formation of CU Solutions Group and the strong positioning of credit union-supported candidates leading up to the November elections. Dave Adams' monthly report for June focuses on the interchange battle in Washington and the efforts being made, both by CUNA and the MCUL, to defeat the Durbin amendment. MCUL President/CEO David Adams highlights the opportunities available to credit unions in Michigan and nationwide as Bill Cheney takes change at CUNA over the next few months. In this monthly report, MCUL President and CEO David Adams shares additional information and opportunities for credit unions that pertain to the Michigan Small Business Financing Alliance, Invest in America and Save to Win. David Adams, president and CEO of the Michigan Credit Union League, highlights the major focus for the league. For October, Adams looks at the Michigan CU Difference Campaign and the benefits for credit unions. He also looks at the 2009 CRI Survey. The Michigan Credit Union League sponsored a summit of credit union and industry leader to address the mortgage crisis in Michigan.